The news that Gydamack is holding Portsmouth to ransom is surprising in that I would have thought that his investment in the club would have been written off when it went into administration. The fine detail of the transaction involved is not in the public domain but I wait with interest for more news on the subject. Without wishing to rush to judgement I smell a large greedy rat and I am sure one of the most feckless owners in football history will not redeem his tattered reputation. 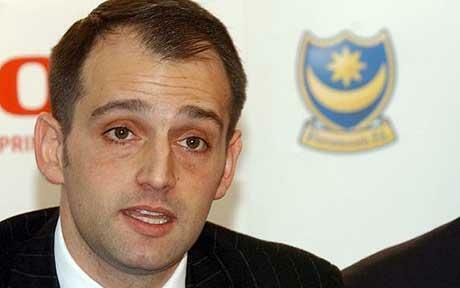 The whole Pompey saga should strengthen the resolve of clubs to curb the financial excesses of recent years but alas not. The details of Wayne Rooney's contract have yet to emerge but there is media speculation that the deal is worth £250,000 a week, when payroll taxes are taken into account the whole life liability of the contract is a staggering £73m. If that is the case then Man United have finally lost the plot they have just signed a contract not even they cannot afford, for a player who has hardly played one decent game in 6 months and whose off field life is a mess. To put the Rooney contract into context the increase is worth £9m a year. This contract alone adds roughly 10% to the losses that the club made last year or if you ignore the debt (always a smart move see above) 9% of their operating profit. This is one player and by establishing a new benchmark they will inevitably face increased wage demands from the rest of the squad. Sir Alex said yesterday that Man United were the biggest club in the world, if that was the case they would have told Rooney to go and bankrupt someone else. Instead they capitulated in what amounts to one of the most shameful climb downs in the history of contract negotiations. Will United go the way of Pompey ? I think it is unlikely although at some point in the future there will be a financial crunch at Old Trafford. Yesterday was a bad day for football but today is Saturday and I'm off to see the Baggies hopefully beat Fulham.